On Friday, March 2, 2018, over 70 guests gathered at Edgewood Country Club in Rivervale for the JCO’s 5th annual Make-A-Wish luncheon. Each year, in conjunction with Make-A-Wish New Jersey, the JCO adopts the wish of a child from Bergen County with a life-threatening illness. This year’s wish recipient was a 17 year old girl named Jessica who loves animals, and had wished to see them up close at Dade City’s Wild Things. Although outside a Noreaster was dampening the weather outside, the spirit inside at the luncheon was amazing! 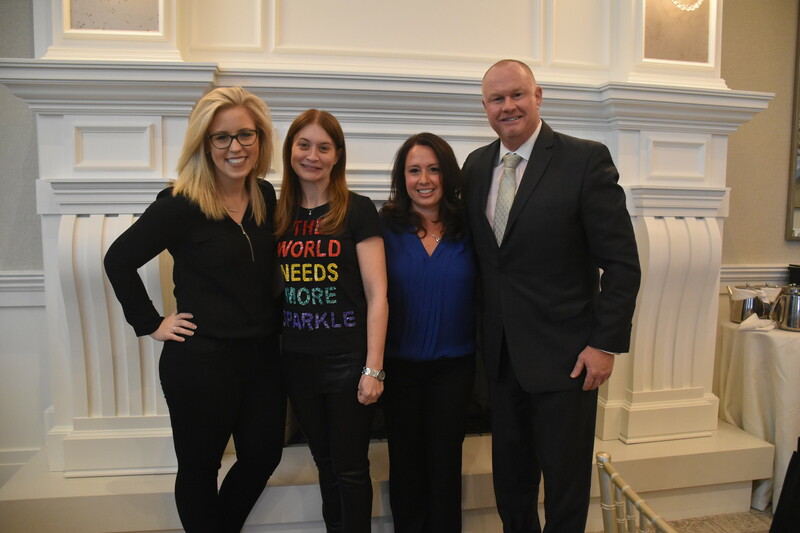 We were especially fortunate to have special guest speaker, Tom Weatherall, President and CEO of Make a Wish New Jersey in attendance. Tom shared his experiences in spearheading this amazing organization, and helped the JCO celebrate five years of granting wishes. 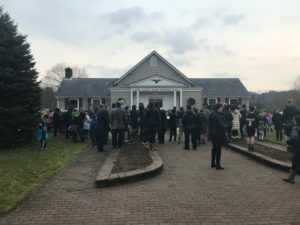 It was truly a special day for all those who attended. This luncheon could not have been possible without all those partners, sponsors, member and guests who helped make Jessica’s wish come true. 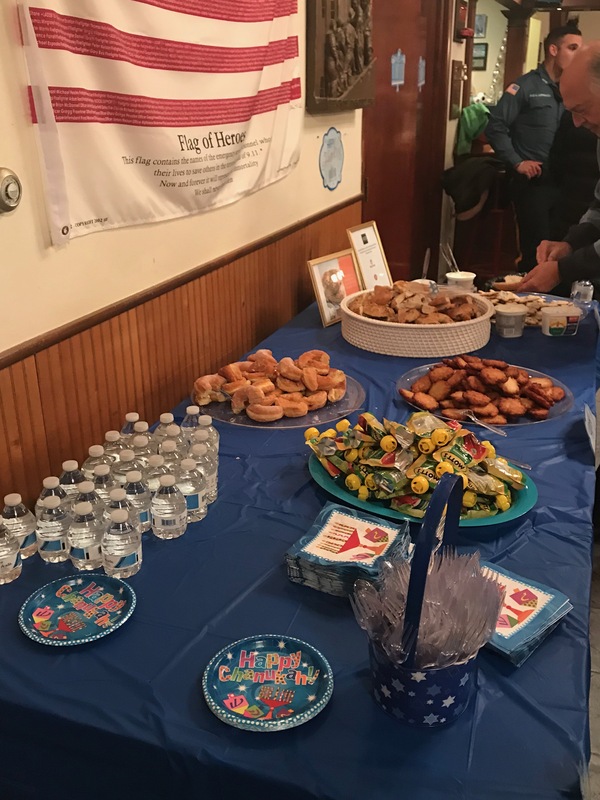 We extend our sincere gratitude to: ABC, B&M Market, Cycle Bar Montvale, Edgewood Country Club, The Fresh Market, JCO Board, The Jewish Standard, Kreiner Dental, Lineup, Make A Wish NJ, Party Rental, Ltd, The Shulman Family, Temple Emanuel Early Childhood, and TicTac Etc. 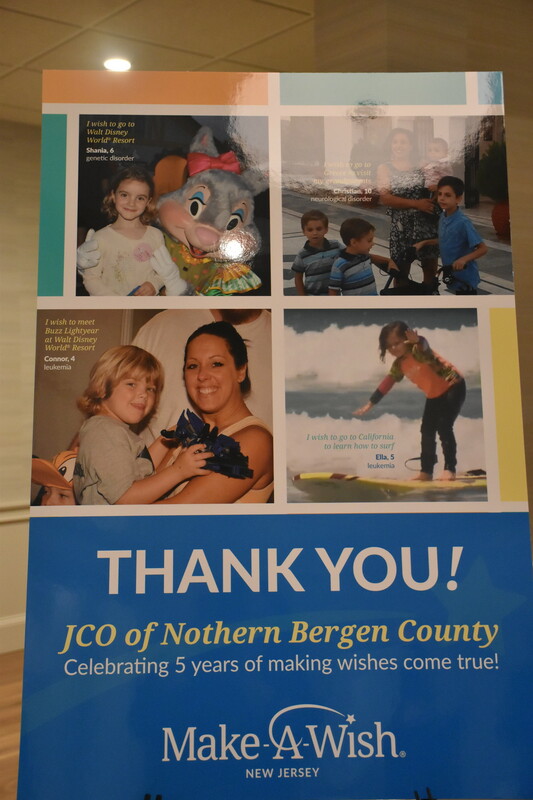 Since the inception of the luncheon, the JCO has granted 5 individual wishes and has raised over $50,000 for these amazing children. 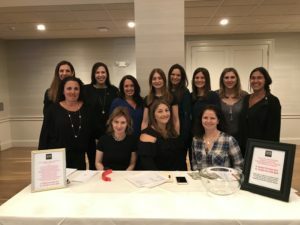 Twenty-ﬁve years ago, a group of Jewish women in North Bergen County saw a need, and formed a grassroots organization that today has 100 women and their children participat-ing. The JCO, that is the Jewish Communi-ty Organization of North Bergen County, is based in Upper Saddle River, Woodcliff Lake, and environs, but volunteers its woman and kid-power to agencies and people throughout New Jersey. 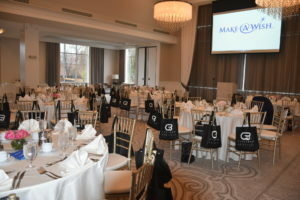 On Friday, March 2, the JCO joins with Make-A-Wish New Jersey in hosting a fun-draiser at the Edgewood Country Club in River Vale. This is the ﬁfth year that the JCO has partnered with Make-A-Wish New Jersey in raising $10,000 to send a young-ster on their dream trip. This year, the re-cipient is a 17-year-old Bergen County girl who has a brain malformation. The teen-ager is an animal lover, and especially loves big felines. Her wish is to see the big cats up close at Dade City Wild Things, a zoo in Florida that offers guided safari tours and up-close encounters with its animals. 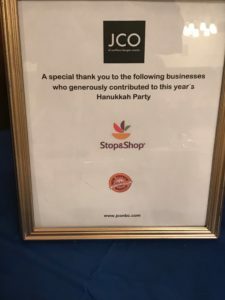 “We are responsible for raising the funds to send these youngsters on the trip of their dreams,” said Stacy Ceslowitz, co-president of the JCO, along with Lisa Halperin. 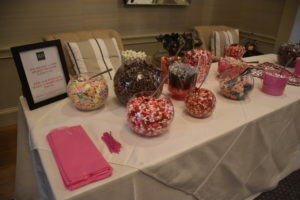 “This is our single largest fundraiser of the year,” said Ms. Ceslowitz, a mother of two daughters, 8 and 9. But it’s not just the women who are helping the teenager get to Florida. 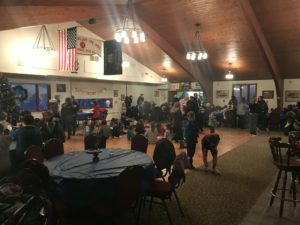 The Junior JCO, that is, the children of its membership, are holding their own bowl-ing fundraiser on March 9 at Montvale Lanes in Montvale. Less the cost of bowl-ing, all the money raised will go toward the Make-A-Wish pot, said Ms. Ceslowitz.“We really want to teach our children to give back and we start them early, long before they do their bar and bat mitzvah projects,” she said. 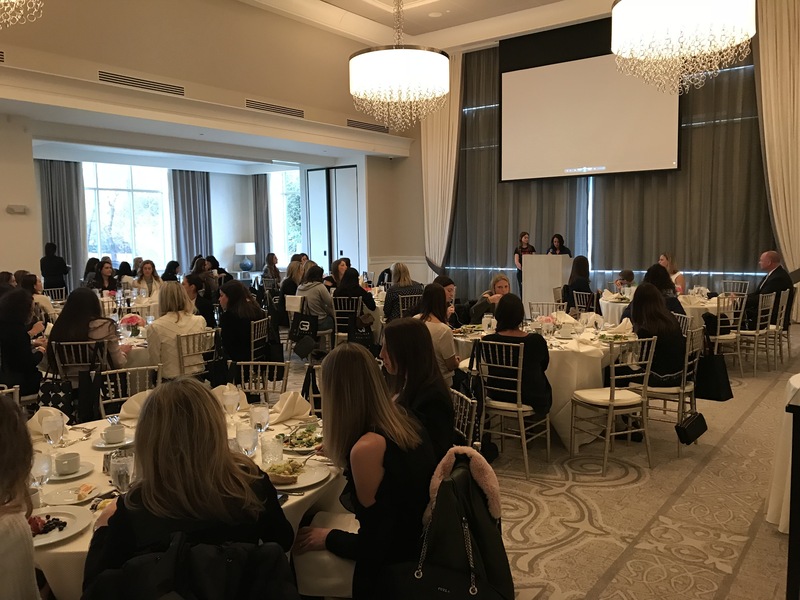 “We want to instill the values of giving back in our children.”The youngsters give back and then they get back.This year for the ﬁrst time, a young-ster will be recognized at the ladies luncheon. The JCO is awarding the JCO Leadership in Community Award to Ben Carter, a 13-year-old eighth-grader at George G. White Middle School in Hills-dale for his tireless volunteer effort.Said Robyn Carter, Ben’s mother and a member of the JCO, “He is a stand-up kid. He is always quick to volunteer and to make a difference. It’s his nature. He’s a doer and a helper.”Among his many volunteer efforts, Ben is a Big Brother, volunteers with se-niors at the Jewish Home in Rockleigh, is an assistant teacher at the Hebrew school at Temple Emanuel of Pascack Valley in Woodcliff Lake, and more.Said Ben, “It makes me happy when I help people.”“The JCO is doing such good work,” said Ms. Carter. “We’re very proud of Ben and appreciate that he’s getting this award. We encourage other kids to take the initiative as well.” The youngsters in JCO are kept pretty busy. Each spring the Junior JCO gathers to prepare Passover bags for commu-nity seniors. The bags are stuffed with Passover staples, decorated by the kids and delivered to the senior seder at the new YJCC.The JCO has also partnered with the Healthbarn Foundation, Healing Meals, to prepare nutritious meals for children and their families with serious medical issues.Each December, the JCO holds its annual Chanukah party, to celebrate the holiday and thank its members and their children for their efforts in giving back to the community. In conjunction with the party, the JCO participates in NJ Cares’ Frosty Friends program. Through this gift-giving program, last year the JCO fulﬁlled gift wishes for 150 children at the Second Street Youth Center in Plainﬁeld.On Mitzvah Day 2016, a group of JCO members and their children volunteered to help Safely at Home paint the interior of the Hackensack group home for the Alli-ance Against Homelessness. 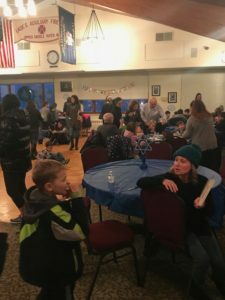 And each spring, the JCO holds a Lemonade Stand and Food Truck Fest to help raise funds for pediatric cancer re-search with the Junior JCO participating by serving lemonade to the crowd. This year’s event will be held on May 2 from 2:30 to 6:30 p.m. in Lions Park, Upper Saddle River. Even the rain and cold couldn’t keep the JCO away from kicking off the Hannukah festivities in December 2017. 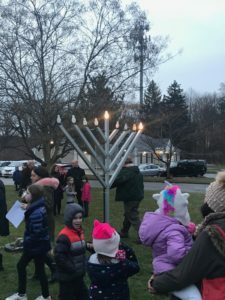 The celebrations began with the menorah lighting in Upper Saddle River on the first night of Hannukah. Community members, JCO members, Mayor Minichetti and the Bogert Student Chorus led by Mr. Chen were all in attendance as songs, doughnuts, and prayers ushered in the Holiday! Immediately following the Menorah lighting, the JCO hosted their Annual Hanukkah Party at the Upper Saddle River Firehouse complete with bagels, latkes, (more) donuts, crafts, and games! A fun time was had by all who attended! An extra special thanks to Stop & Shop and New Yorker Bagels for their generous donations!